In the event of an emergency first- aid situation, at least one person present having knowledge of first aid could easily mean the difference between life and death. Involvement could be direct, for instance, performing the Heimlich maneuver on someone who is choking or performing CPR on someone who has just been rescued from drowning. Such knowledge can also be used to identify signs of a person about to have a heart attack. Our solution approaches an existing problem of lacking knowledge in first aid procedures. Our application creates an interactive environment to see, learn and practice various first aid maneuvers by using an intuitive human interaction mechanism. This application targets general users who may be school children or adults. The application would be designed in a way to impact the users broadly so that they will be able to learn a wide variety of first aid maneuvers and remedies, in other words, the right procedure and the do’s and the do not’s of a procedure. 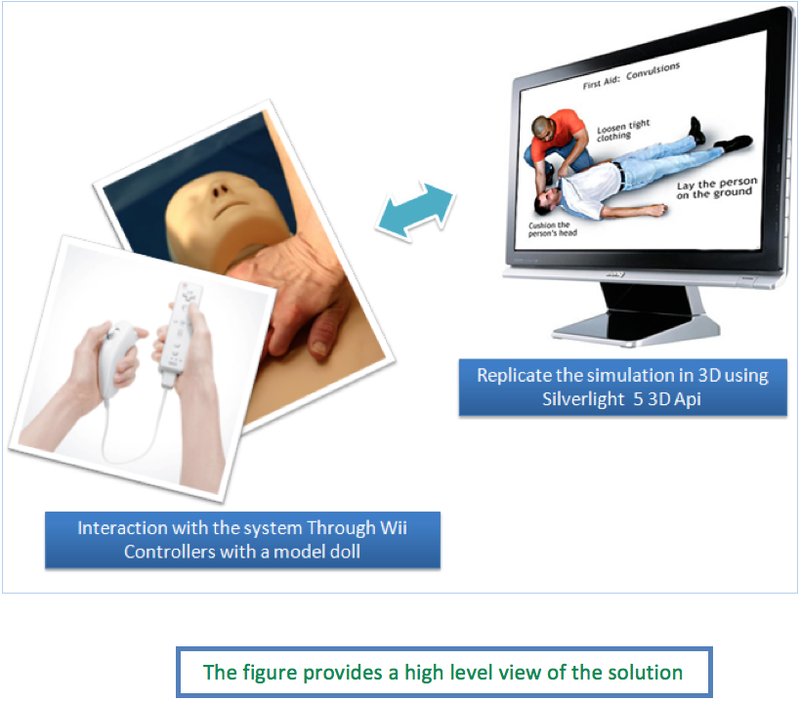 However knowledge acquisition would not end there, the application user would then be able to try out the techniques learnt on a scaled model.